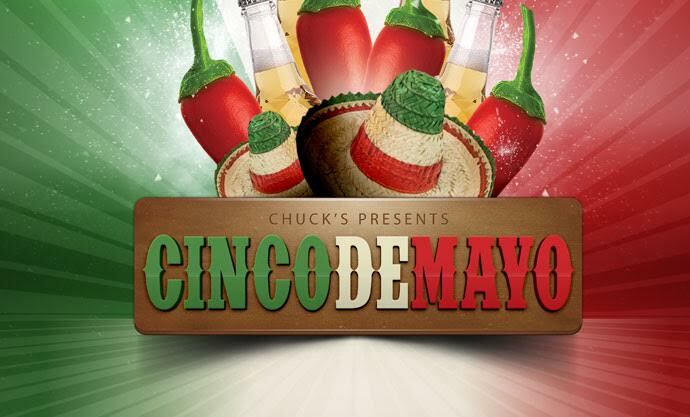 Join us on Saturday May 4th and Sunday May 5th for Chuck’s Cinco De Mayo Tapas fiesta! Small appetizer portions of Chuck’s Mexican Specialties! SPECIALTY DRINKS & BEERS TO BE ANNOUNCED!